In an article by Bruce Millington appearing in the Racing Post today (24 May 2018) it was eloquently argued that the reduction of FOBT stakes to £2 would have no positive bearing on the seemingly rampant bookmaker practice of restricting the stakes of skilful punters trying to get bets on in sports markets. 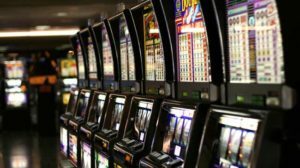 “Sadly, while those who know the time of day have their desired stakes significantly reduced, anyone who does not operate in a way that suggests they are going to be a winning customer is allowed to get whatever they like on … And that is not going to change one iota with any bookmaker as a consequence of the taming of the FOBTs. They are entirely unrelated”. Cutting the stakes of winning punters is aimed at increasing bookmaker profits – if bookmakers need to increase the profits they earn from sports betting then they will most likely continue in or even increase this practice. The government’s restricting of stakes applies to only FOBTs in shops and those who indulge in this pernicious form of gambling will simply turn to the bookmakers’ online fixed odds games. Some of the big bookmakers have never operated FOBTs and are no more strangers to stake restrictions than those who have relied heavily on FOBTs. Mr Millington suggests this undermines the idea that bookmakers will have to stop stake-restrictions in order to encourage a higher turnover from sports betting. While these arguments are well made, we suggest that the conclusion that the FOBT minimum stake-reduction will have no positive bearing whatsoever on sports punting stake-restrictions is overly pessimistic. It may well be correct that FOBT punters will now turn to online fixed odds products now that their stakes have been so dramatically reduced in shops. However the history of regulation in this country suggests that the recent stringent curbs placed on FOBTS merely represent the thin end of the wedge and that this significant first step marks the beginning a steep and slippery slope. The most obvious example of this in action is perhaps the history of the government’s regulation of tobacco. It seems extraordinary to think now that smoking was allowed on the London Underground as recently as the early 1980s. In the intervening period not only has smoking been banned on the Tube but in all public places. Further, tobacco products now cannot be advertised or involved in any kind of sponsorship and packaging must carry graphic warnings of the dangers of smoking and must be concealed from the public’s view. If the fate of FOBT betting proves remotely similar its days are numbered and any bookmaker who decides to plough its efforts and resources into online versions of such products would be rash in the extreme. On the basis of that conclusion bookmakers are likely going to have to look elsewhere for ways to maintain profit margins. As a result of the recent news from the United States, it seems highly likely that the American market is going to be relied upon to fill a significant part of the gap. However bookmakers may well find that the Federal Trade Commission (the notoriously assertive consumer rights protection agency that has taken on Google and Facebook in recent years) could take an interest in stake reductions and whether they fall foul of section 5 of the Federal Trade Commission Act: “unfair methods of competition in or affecting commerce, and unfair or deceptive acts or practices in or affecting commerce, are hereby declared unlawful.” Certainly we would suggest it would be dangerous for bookmakers to assume they can transport not only their businesses but their more controversial business practices to that jurisdiction without at least some resistance. Outside of simply expanding the geographical reach of their markets, bookmakers are inevitably going to have to explore new, or rather old, markets. For this reason it is in our view (and contrary to the views of Mr Millington and many others) hard to see how bookmakers can avoid seeking to increase the profitability of their sports betting products in light of the recent FOBT stake-reduction. In basic terms there are two way of increasing profitability – you can try to cut costs and/or to increase revenue. Mr Millington suggests that bookmakers will simply continue to do the former by ensuring they do not do business with winning punters. But you can’t restrict more winning punters than you can find and it seems fair to assume that the vast majority of existing winners have already been identified. The alternative is to increase revenue by enticing new customers and by encouraging them to bet more often and/or in larger sums. However increasing the number of new customers and how much they are willing to spend will be challenging enough without it being widely known that these new customers will only be able to place bets for so long as they are net losers. One of the big Public Relations problems FOBTs faced was that the press focussed heavily on the fact that they were designed so that customers ultimately could not win. If that becomes the reality of sports betting it seems to us likely that it will suffer similar difficulties and we would suggest that a pursuit of increased revenues in the sports betting market will need to be accompanied by a concerted effort to reassure punters that they have at least a hope of winning. The National Lottery is perhaps an example of how badly the odds can be stacked against a consumer who is still happy to take those odds so long as there is a chance, however remote, that they might win. It is hard to imagine anyone buying a lottery ticket in circumstances where they were told that they cannot win however. The difference between a very small chance and no chance at all plainly can make a big difference. In short it seems to us perfectly possible that at some point in the not too distant future bookmakers will find that the sustainability of their businesses rests on the realisation that instead of restricting winnings punters, they may well have to return to the practice of trying to beat them essentially by being better informed and better equipped. Mr Millington would no doubt answer that prediction by referring to his point about Bet365 never having had FOBTs in the first place and so why would they change from their current model? The answer in our view simply comes down to this: competition. If Ladbrokes and William Hill decide to apply their vast resources to exploiting the natural advantage they have in making the book and are successful in doing so, we would suggest that Ray Winston’s disembodied head will not be far behind. This article was updated on 28 March 2018.